ALBY Dunnett vividly remembers the day he boarded a troop train at Mount Larcom. "The only man to see me off when I joined the troop train at Mount Larcom was Horrie Tipping," he said. 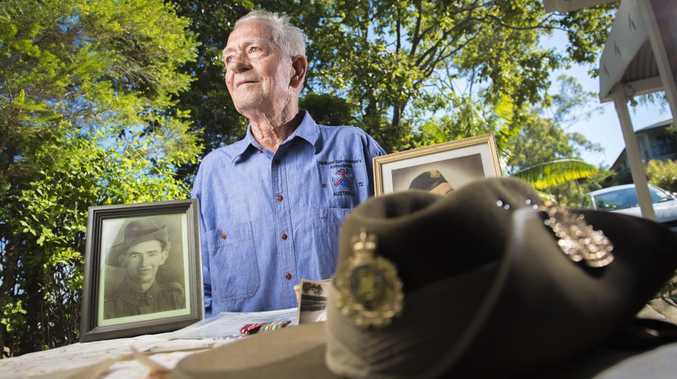 "We arrived at Wacol just after 0900 hours the next day and were sworn into the Army just before 1100 hours on April 25, 1952." This Anzac Day will mark the 62nd anniversary of that day. Mr Dunnett trained solidly for three months at camp and then the conflicts in Korea ceased. He said he had felt guilty for years for not being called to the front-line. But that feeling quickly disappeared after talking to a former prisoner of war from the Second World War. "I think of all the POWs, and how much they suffered, while I felt guilty I was unable to go overseas," he said. "I am (now) thankful that I did not have to." Anzac Day is a reminder, for many Australians, of the horrors of war. It is a most sombre day for those who can recall first-hand how wars have impacted our country and people. "It is a day to remember all those who paid the supreme sacrifice for the freedom of their country, plus all those men and women who served their country," Mr Dunnett said. "Those that saw service overseas and those that served at home." Mr Dunnett was named after his father, who served in the First World War at the Battle of Hill 60 in Somme, France. 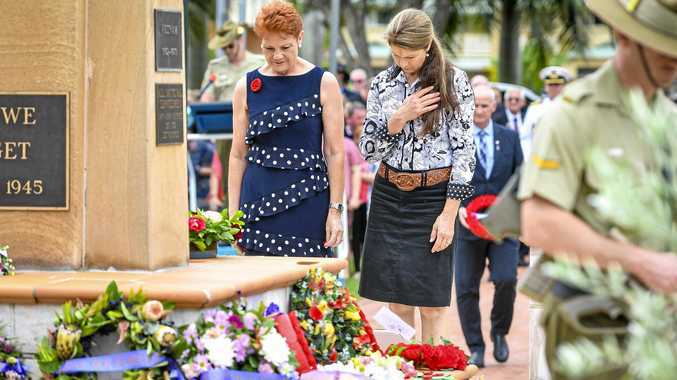 "While there is no glory in war, there is glory in the mateship and heroic deeds of our country's servicemen and women," he said. Boyne Island: A dawn service at the cenotaph, Stirling Park. The morning service will start at 8.30am. Gladstone: Ceremony at the Valley car park at 5.20am. Another parade and service will take part outside the Gladstone Regional Council office with a march at 10.30am. Turkey Beach: The dawn service on the beachfront at 5.30am followed by a service and march at 9am. Calliope: March at 10.45am from Bunting Park to the cenotaph at the RSL Hall, with a service at 11am. Agnes: 6am at the Agnes Water cenotaph. A morning service will begin with a march at 9.45am from the Agnes Water Tavern followed by a 10.30am service at the Agnes Water cenotaph. Bororen: Dawn service at 6am at the Memorial Park cenotaph. Mt Larcom: Service at 10.30am for an 11am start. Rosedale: A dawn service at 5.30am at the Memorial Hall, James St, followed by a march to the cenotaph for a 5.45am ceremony for Anzac Day.